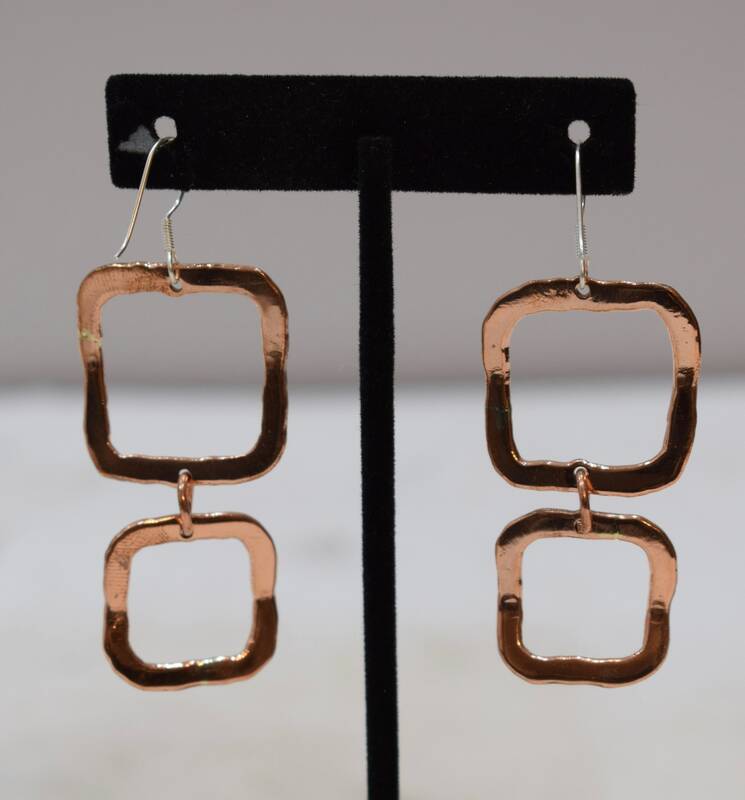 This is a beautiful Pair of Plated Copper Textured Double Square Dangle Earrings. 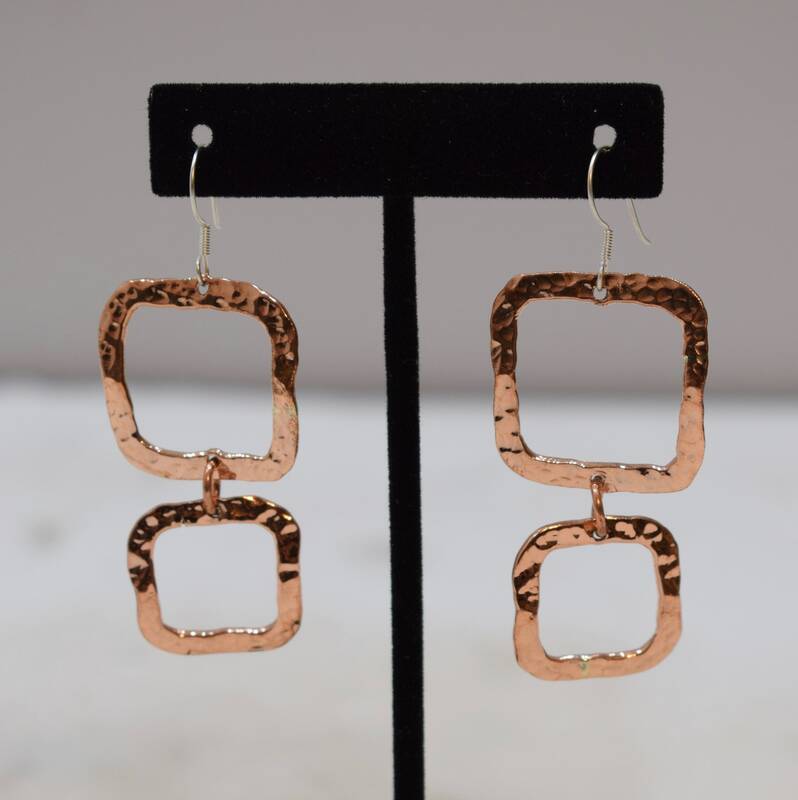 This earring is lightweight, fun to wear and and would make a wonderful gift for that someone special. These are beautiful, well crafted and not too heavy.